Women and girls are not supposed to love their bodies. We were taught that at a very young age. No, it’s not like there was a class in school called “Hating your Body 101” or anything. No, these messages were much more under the surface and almost subliminal. They came in the more tacit form of seeing our Moms frantically dieting before a big event (something must be wrong if Mom feels like needs to change her body. Note to young impressionable self: Dieting is important, changing your body is important). And it came fast and furious at you with what you watched in the media and in magazines. Where are all the heroines with varicose veins, warts, alopecia and cellulite? Name all the movies you saw as a kid where the larger or older women were courted by the seemingly perfect masculine heart throb. And it came from our peers. How many times did you complement your friend(s) only to have her (them) deflect that complement and come back with a reason why what you just said isn’t true. While we all claim to want to have self-confidence we also fear being TOO confident (arrogant) and relishing too much in our beauty. Essentially, we can’t win. Apparently someone is giving out awards for being humble to the extreme and shaking off words of admiration. How can we actually find that sweet spot of pure, simple body love that is just for ourselves with nothing to prove to anyone else? What does it matter to them indeed. It’s time to pull the veil around why women and girls feel such an ardent desire to change their bodies and not accept themselves as they are. Without placing the blame on one entity entirely I have found that it has to do, in part, with the way our societal social and power structures have been set up where the patriarchy relies on women to stay small (figuratively). If women and girls are too busy overexercising, counting calories and obsessing about food (or lack thereof) then we certainly can’t find the time necessary to run for office, become a engineer or write a best-selling novel with the same gusto, drive and passion than that woman who is steeped in self-love, self-worth and deep unrelenting confidence in her interior and exterior can. I am not saying this is conscious, vindictive or sinister. No, it’s way way below the surface where people often don’t explore. It shows up in subtle ways that gets internalized early and often and which can become so powerful that it’s hard to wake up from. It’s not about conscious and willful shunning of diverse women of all shapes, colors, weights and ages. (although that does happen regularly) but about the underlying fear of losing one’s standing in society, of insecurity of shifting values and beliefs and the fear of being usurped. Plainly stated, women are still not willing to fully step into their power, beauty and confidence. We are just now slowly starting to see a seismic shift with this. This is certainly a watershed moment surrounding the #metoo movement and the insurgence of the body-positive world which is active, brazen and growing every day. Women are starting to become “woke” to these power structures and are taking action. These actions show up in myriad ways including reporting inappropriate sexual behavior in the workplace without fear of retribution, claiming high-profile and powerful positions in virtually all fields and career paths and “leaning in”. It also shows up by giving the middle finger to dieting for good. We used to burn bras in the 60’s to rebel and reveal our power. Now we’re burning bridges and not afraid of those repercussions. 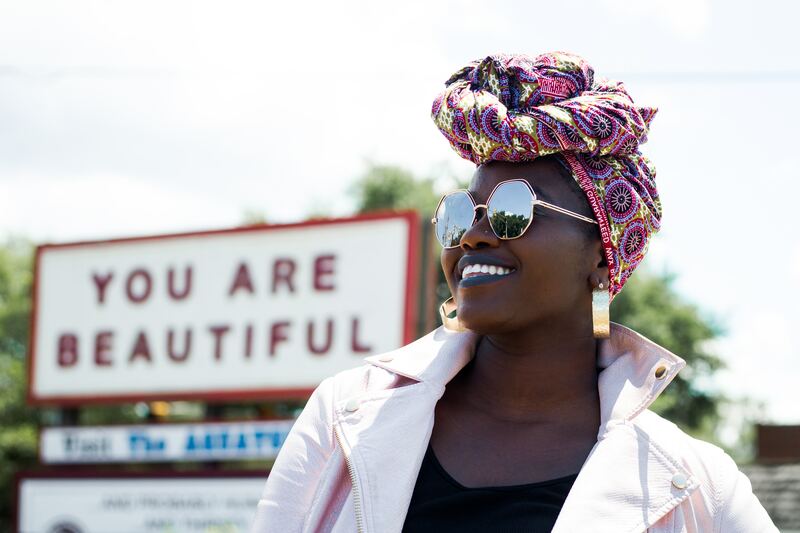 We all can rightfully own our beauty and self-worth. I give you permission to have the audacity of body-love, with no shame, no remorse and no apologizing. Post those selfies, savor that delicious food, and relish in everything your gorgeous body is capable of feeling and doing. Do you agree? Post your comments and share this article far and wide. Is your Mindset preventing you from Losing Weight? 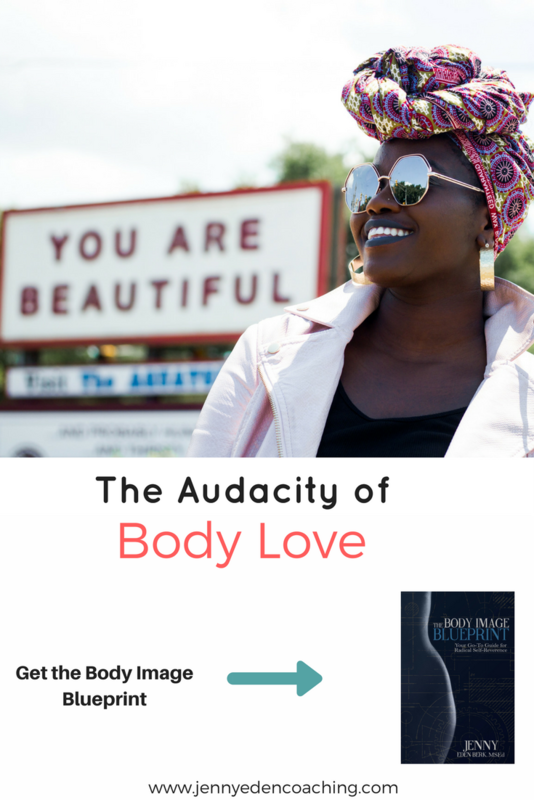 The Body Image Blueprint Virtual Book Launch! So well said! I agree 100% with you on the fact that we should be able to celebrate ourselves- our bodies, our minds- without feeling scared to do so. You’re so tight that we are trained to hate our bodies and I think this year has been amazing in the sense hat many women are growing to love themselves more than ever.